The short-lived project of the Alinco DJ-G29T is proof that the 1.25 meter and 33 centimeter bands of the amateur radio spectrum are forgotten bands. I purchased one of these radios a few months ago when I read online that it was being discontinued, and I wanted to get a new one before they were all gone. It is a neat little radio that is front face programmable, like most amateur radio HTs, but unlike any other 900mhz radio that I have seen to date, all of which require computer programming and software. Moving on from that little radio, my purpose of this post is to share my views and opinions about why the 1.25 meter and 33 centimeter amateur radio bands seem to be forgotten. When I was first licensed in 1994, the most inexpensive radio I could buy was the Radio Shack HTX-202 mono-band, 2 meter only, 12 memory channel HT. This radio sold brand new in the store for $189. You could also buy the 70 centimeter version of this radio, which had the same memory channels and features, for the same amount of money. Back then, if you wanted a dual-band HT, you were going to spend $300 or more. Today, however, anyone can buy a Chinese dual band for under $50. 20 years ago, if you wanted a 220mhz radio, you’d have to pay several hundred dollars. I don’t remember anything about 900mhz back then, the frequency spectrum belonged to us, but to my recollection there were little to no radios at all. Today, you can buy a mono-band 1.25 meter radio from Anytone or TYT for under $200. Also, there are many 900mhz radios on the market, most of which are used, but many are obtainable for $100 or less. A good example of this would be the Kenwood TK-981 radio. I constantly see these radios sell used on eBay for $100-$125. So the question is, why are these two bands forgotten? Today you can get a radio in either of these bands for a decent amount of money, and some people are using them, but they are not nearly as popular as the 2M and 40 bands in amateur radio. The 1.25 meter band is widely unused in the DFW area, and the band itself, being VHF, could be as reliable as 2 meters. The 900mhz band is becoming more popular in DFW, but radios are mostly purchased from used markets and surplus of businesses of local government agencies. However, I see that changing very soon. There is now a 220MHz net that is held on the Ft Worth 220 repeater every Friday night at 7pm. Additionally, the Denton club is putting up a new 220 repeater soon, along with the Johnson County Club in Mansfield adding a new 220 repeater also. There have been 3-5 new 900MHz repeaters appear in DFW recently, the newest one being the Ft Worth 927.2625MHz machine that came on the air just this week. So go out there and see what you can find, then join us on the VERY workable, but less popular, bands. 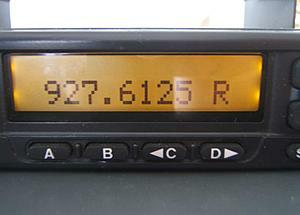 I still have my 2m/440 radio also, in fact I currently have ALL VHF/UHF bands in my truck, except 1.2GHz. Is the N5UD 900 MHz repeater in Belton still offline? I used to hit it when I visited my family in Prairie Dell but haven’t heard it lately. I see it’s offline on RepeaterBook. Someone once told me (and it may or may not be true) that it is difficult for the manufacturers to include 220MHz into a multi-band radio because the 220MHz isn’t “harmonically” compatible with 50MHz, 150MHz, and 450MHz. With those three you can divide or multiply them into an even-ish multiple (50 times 3 is 150, 450/3 is 150, etc) and it’s difficult to tune an amp compatible with those bands to 220MHz. My Yaesu VX-7 covers 50, 150, and 450 at 5 watts with “bonus” coverage of 220MHz at 300mW, which I bet is either the exciter power of the transmitter or an amplifier output low enough that it won’t cause damage. If the above explanation is true, it would mean that 220MHz is “forgotten” due to basic RF engineering theory. I would love to be on 220… but I would need a separate radio and another antenna. 220 would be a fantastic place to play with DMR since the band is usually wide open and getting into DMR usually means buying a new radio — but I don’t think that anyone builds a 220 radio with DMR. Hi Bill, thanks for commenting. About your harmonics statement, that may have been true at one point in time, but technology is now where that doesn’t matter anymore. Anytone has released their Triband HT which is available now, with 2M/220/440 bands. Their Mobile units, which I am taking pre-orders for, will be available at the end of December. So I believe that many things are possible today that weren’t 20-30 years ago, especially with SDR now on the scene. Good points… but you know I forgot about the Drake UV-3! That was a tri-band 150, 220, and 450, although I think each band module was it’s own RF deck. It had a knob (was BCD or decimal, can’t remember) for tuning MHz, 100KHz, and 10KHz, and a little switch to add 5KHz. Because of these knobs, with some interface circuitry it was pretty easy to convert this to a remote base on a repeater. An old friend Wayne K9WZ(ex WA9INM) in Plymouth, Indiana added one of these as a tri-band remote base to his repeater. Great discussion and mental exercise! Thinking about it some more over my lunch hour, while I agree that nowadays with SDR the 220MHz in a multi-band configuration is much more possible, I think that it’s not popular because it wasn’t possible in the past because of the difficulties back then. It’s a spinning cycle–if there is nobody on 220 because it’s not popular, then the demand for the radios goes down, which means that fewer people are on 220 which brings the demand down further. Amateur use of VHF and UHF allocations exploded in the late 1960s and early 1970s as repeaters started going on the air. Repeater use sparked a huge interest in the 2-meter and 70-centimeter (420–450 MHz) bands, however, this interest never fully found its way into the 1.25-meter band. Many amateurs attribute this to the abundance of commercial radio equipment designed for 136–174 MHz and 450–512 MHz that amateurs could easily modify for use on the 2-meter and 70-centimeter bands. There were no commercial frequency allocations near the 1.25-meter band, and little commercial radio equipment was available. This meant that amateurs who wanted to experiment with the 1.25-meter band had to build their own equipment or purchase one of the few radios available from specialized amateur radio equipment manufacturers. Many of the repeaters which have been constructed for 1.25-meter operation have been based on converted land-mobile base station hardware, often extensively modifying equipment originally designed for other VHF bands. A perfect use for this band would be custom APRS links, repeater remote receiver backhaul links, remote control, etc. FCC §97.201 allows for auxiliary use so I think it would be a nice wide open band for these specialty uses. There are several repeaters going up, and more activity on the rise, in the DFW area on the 220MHz band. Likewise, for about the last year or so, several new 900MHz repeaters have gone up around this area, and I know many hams who use the 900MHz band on a daily basis, myself included. This doesn’t mean either of these bands are as popular as 2M/440. But they are up and coming in this area, to be sure. I can drive to other parts of TX and not see any 900 repeaters at all, and if there are 220, no activity. But around here, that isn’t the case. I think the introduction of the Triband Radios from Anytone is going to be a great addition to the hobby, because it’ll give you 220 without having to lose something else. A great example – the Quad Band radios, such as the TYT Th-9800 and Yaesu FT-8900, have become very popular. I’ve sold MANY of the TYTs from my website and store, but does anyone use the 10M or 6M bands on these radios? Most don’t, they just use the dual-band freqs because the radio itself is cheaper than many dual-band-only radios. But some people do use 10M/6M on FM, and there are more 220 repeaters than either of those bands. So when people see a true Triband radio that includes 220, I think they might give the band another try. I have always loved the 220 band, so much so that I host the DFW220 net on 224.78 in FW on Fridays at 8 pm, I have also helped install the 224.46 repeater in Mansfield. The Denton repeater on 224.92 is already active, with the 224.700 in downtown Dallas soon to follow ! This is a great net. I’ve checked into it several times myself. I wish it was on another night because I am often traveling on the weekends for shows, but when I am at home, I always try to checkin. We have thought about other nights, but we dont want to conflict with other nets. Friday is a tough night & I am surprised how well its done considering that as an additional challenge. I see it someday evolving into a Thursday club net on the Mansfield repeater, once we get the repeater up to 120 ft.
Just tonite I noticed a new 222 repeater on the NCTC system…223.9/110.9 in Aledo. Great read! The 220 MHz spectrum isn’t dead, in fact we believe it is poised for a revolution! Space is available and we have a repeater and mobile radio to get you going or upgrade your existing equipment. We plan to have a handheld soon as well. We will have a booth at Hamfest in Dayton, SA0316. Stop by and check us out. Yes I agree with you about 220. It is a great band! It is up and coming here in the Dallas/Ft Worth area. We’ve had lots of repeaters go up within the last 6 months and the radios have become very reasonable. I’d be interested in talking to you about your mobile radio. give us a shout, 816-532-8451. One of which is the UHFSDR …. it can cover below 160M up through to 700Mhz …. even 2.4Ghz should be possible …. Its draw back is an amp that covers that spectrum and FILTERS !!!! iv been looking for cheap and GOOD filters for 220Mhz and 900mhz …. with little to no luck. I’ve not heard of this UHFSDR, but I just googled and found it. Do you have one of these units? What is your opinion of it? It looks like you can get the kit for $50. I might have to give that a try. There needs to be a few mods before HF , VHF & UHF are used ….. iv finally sorted them out with some help from the designer … and i can say that it does Rx/Tx all the way up to 512Mhz … thats the highest freq that my test equip does …. so 222Mhz is working fine …. Well …. iv recently received a set of (2nd generation proto type) band pass filters from HobbyPcb … they will be selling 2m, 1.25M and 70cm band pass filters …. they seem to have around 1/2db of insertion loss and 56db attenuation of the 2nd and third harmonic …. Iv already replaced the BPF in my 2M amp …. need to get going and build a 1.25M and 70cm amp now …. Well .. iv seen a new development is SDR radios …. But its not quite available yet, i hope it will …. LimeSDR is doing a go fund me to build a SDR that covers 100Khz to 3.7Ghz @ 10dbm output …. NO FILTERS …. but does have control pins for controlling switched filters …. They have in the works a next gen IC that should cover to 12Ghz … that means you could also work in the 10Ghz Ham band — 10.369Ghz anyone? This has been tried before. No one has done it yet – I suspect someone will eventually, but apparently it is pretty complicated. I hope they succeed. I think that the 220 MHz band is already in the middle of a comeback. Here in the Chicago area almost every club that has a repeater on 2 meter also has a 220 MHz repeater. Many of them are linked. One club has all three or their repeaters linked 2 meter 70 cm and 1.25 meter. Any band any time! Some of the clubs host regular 220 MHz nets that actually compete with each other. One of the clubs is the 220 MHz guys and gals, that is solely dedicated to activity on 220. As for 900 MHz I have had that equipment set up yet but listening on the scanner I don’t hear much. And for 1.2 GHz I don’t know, I’m waiting for my 1.2 GHz module for my TS-790 to arrive. Great article and good discussion! Keep it up! What boom material is nationally available? I would like to build a few beams … 2 each for 2M, 1.25M and70CM — maybe even 900Mhz … but a boom is being prohibitive ….. Interesting article. Not sure about the rest of the country but 220 is alive and kicking in the Chicago area. One club in particular :The 220mhzguys A.R.C is devoted entirely to 220.Great net on Saturdays and fun as well as informative conversation throughout the week. Our V.E. testing every other Saturday influences new hams to join the 220 revolution. When in the area join us on 224.520/pl 110.9.Repeater coverage is AWESOME! 73! KB9DSQ. I just came across this article as I was looking at reviving my old Kenwood TM-321. I lived in Los Angeles during the Novice enhancement days and I can tell you there, 220 is alive and well and I think it still is to this day. I really think the lack of availability of 220 gear can be attributed to the fact that it is a Region 2 allocation and many countries within region 2 do not allow for it. The manufacturers further threw their hands up when we lost 220-222. Myself, I really love the propagation characteristics of 220 MHz compared to 70cm. I used to live in the hills of the northwest San Fernando Valley and you could go to almost every channel that was coordinated for repeaters and bring up a repeater. I now live on the Delmarva peninsula (eastern Maryland) and I believe there’s still one repeater in Delaware. I am not sure if it is running but there is a coordination for it. I wish 220 would get more love.. I would like to see the band come back. Yes 220 here in the Dallas/Ft Worth area is on the rise at this time. I talk on a repeater locally about 2-3 times per week and I know lots of hams who are interested in starting with 220, or already have done so. I think it is going to get more popular as time goes on, now that there are more options for radios readily available. The 900mhz ham band should be utilized for satellite APRS. This would allow the construction of a transceiver with a very small directional patch antenna to be used. Look up “SPOT GPS tracker” and you will see what I’m talking about. 2m directional antennas are way too cumbersome for pedestrian portable satellite APRS. 900mhz satellite APRS is where we should be heading with this technology. I seriously doubt it would be of use there … but maybe after a few mods. I’d be interested to see the setup for doing 900MHz SSB. This would be useful during VHF and up contesting. Hope its resolved by the time mine arrives ….